For use with torque rope line for Code 0 and spinnaker furling gear. Our clamps are easy to install and can be removed and reinstalled to get the line length correct. Not that any of us have ever gotten the line length wrong the first time! They can be used with most torsionally stiff Torgue lines. We have tested many of them and can share the test results with you if requested. Our patented line clamps for torque lines, for both top down spinnaker and luff line (code zero style) sails. Fits line from 9-11 mm, outside diameter. Simple and easy to use, Installs in 5 minutes. Clamp can be removed and reinstalled to adjust line length. 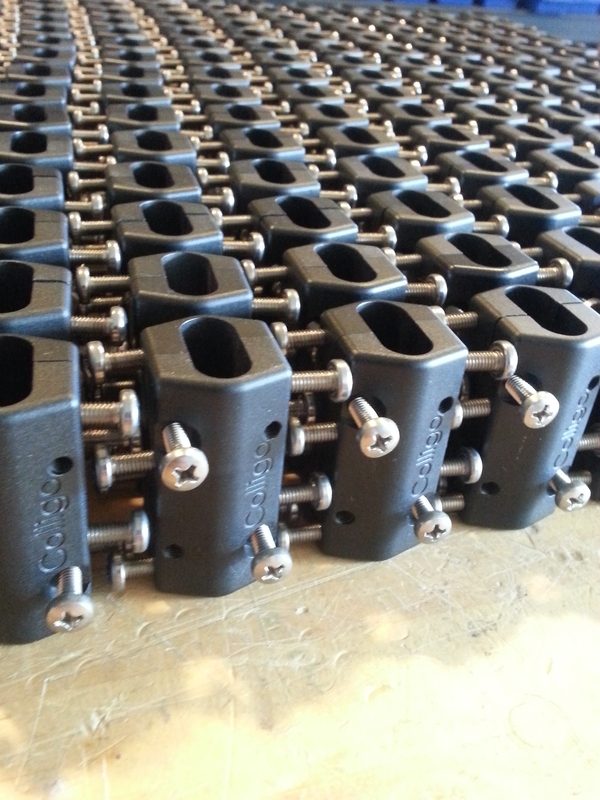 Holds to Minimum of over 4,000 lbs-f (1800kgs-f) on most lines. Contact us for a list of lines that have been tested with our clamp. We can test yours also. See installation video below.